A U.S. Corporate Leader Shares His Thoughts on Sustainability – EDF’s Fred Krupp Interviews Tom Linebarger of Diesel-Maker Cummins Inc.
Fred Krupp is head of the two-million-member Environmental Defense Fund (EDF), a leading global not-for-profit that creates “transformational solutions” to address environmental problems by linking economics, law, science and innovative private-sector partnerships. Since the mid-1980s he has been a very vocal thought leader, activist, and champion for change on various climate change issues, striving to use the power of the marketplace to protect the global environment. Krupp has worked with many business leaders over the years and today characterizes Tom Linebarger – the Chair and CEO of Cummins, Inc. (leaders in diesel engine manufacturing) – as one of the forward-thinkers on sustainability and environmental innovation. Krupp interviewed the CEO for Forbes, our Top Story for this issue. Cummins Inc. has publicly committed to set science-based targets for reducing GHG emission across the company’s supply chain, which would help to address stakeholder concerns and help contribute to the future well-being of communities in which the company operates. Cummins’ innovation efforts will also help to make a difference in terms of the company’s products (such as vehicle and stationary engines), its facilities and the supply chain. Diesel power is central to the progress of the economy, says Linebarger, moving vast amounts of products and supplying power just about everywhere — and is a factor in driving wealth creation. While doing this, the Cummins’ products also impact the environment and so the intense focus on corporate sustainability for the company. Here are some welcome words for us in the Trump/Pruitt era of tearing up environmental rules and regulations and denying the impacts of climate change: “Regulations play an important role in protecting the environment, and we’ve worked to make sure we’re a positive contributor to the effort,” the CEO explains. Cummins also pushes industry peers and its suppliers to support tough, clear, science-based, enforceable regulations that are good for the industry. Cummins (NYSE: CMI) is headquartered in Columbus, Indiana; the company designs manufactures, sells and services diesel and natural gas power engines; and, alternative-fueled electrical generates sets, “emission solutions”, and components for electronics and fuel systems. The company has 58,600 employees and serves customers in 190 countries – sales are US$20 billion (2017). Disclosure: The G&A Institute team members were instrumental in 2000 in assisting diesel power and vehicle manufacturers in organizing the Diesel Technology Forum, a not-for-profit advocacy dedicated to raising awareness about the importance of clean diesel engines, fuels and technologies. Cummins was instrumental in the concept of and the founding of DTF and over the years since has been active in advancing the mission. 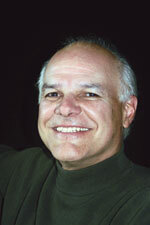 Our former colleague Allen R. Schaeffer is the organization’s Executive Director. You’ll want to read and share our Top Story this week with very encouraging comments about sustainability from a respected U.S. corporate sector leader. (Thursday – April 19, 2018) Source: Forbes – As head of the largest independent maker of diesel engines and related products in the world, Tom has set lofty environmental goals for Cummins, including cutting energy intensity from company facilities by a third by 2020. Philanthropy verses policy. What’s at stake? In the United States of America, perhaps our entire democratic process. At a recent Brookings Institution event that focused on income inequality, John Prideaux, Washington correspondent for The Economist, was asked what a “good unequal society” would look like. Fast forward to a recent op ed piece in The Washington Post, written by a husband and wife team of obvious affluence, influence, and good will. John and Carol Saeman, both devout Catholics, give generously of their time and treasure to the charitable works of their church (John is president of an investment and management company), as well as to other more laic (nonclerical, lay) organizations, including those run by people such as the billionaire Koch Brothers. The Koch organization that the Saeman’s ardently support is called Freedom Partners, a nonprofit organization composed of around 200 members, each paying a minimum US$100,000 in annual dues. In 2012, Freedom Partners raised $256 million, making grants worth a total of $236 million to conservative organizations prior to the midterm elections, including Tea Party groups and organizations opposed to The Affordable Care Act. Your average middle class guy is probably not a member. Regardless of the politics they embrace, wittingly or unwittingly, both Prideaux and the Saeman’s put forth the perfect scenario for a plutocracy—namely a society where wealthy people like the Koch brothers, the Gateses and others should determine and finance the common good verses employing the democratic process of the people. In short, they are advocating philanthropy over policy, which leads us down a very slippery slope, folks. When government works, policy reflects the will of We, the People. We elect political leaders whose job it is to pass laws and appropriate funds that promote the common good. If we don’t like the laws they pass or the funds they appropriate we have the opportunity, privilege and right to vote them out. When it comes to philanthropy, as someone who has worked in the nonprofit sector for the better part of four decades, I can say with great confidence we run the real and great risk of relying on the kindness—and whimsy—of strangers. If a huge philanthropic organization like the Gates Foundation decides to change course, what recourse do we, the people, have? Nada. As imperfect and dysfunctional as our government is, I’m not willing to hand it over to the rich, regardless of their noble and good intentions—especially when it comes to defining the common good. Over the past 30 years or so, we’ve witnessed how that good has often translated into less taxes for them and less good for the rest of us. In their op ed piece, the Saeman’s make the argument that our welfare system encourages dependency and denies dignity to the poor. They leave out the fact that many people who work 40 hours a week at minimum wage for major corporations like Wal-Mart, McDonalds and many other large, well-heeled corporations lose dignity by having to rely on government programs to make ends meet, including food stamps. BTW– in 2012, Forbes reported that just six Walmart heirs have as much wealth as 42 percent of all Americans. Say what! Want to give people dignity? Rather than philanthropy, let’s pay hardworking folks a wage they can live and raise a family on. I guarantee you that people like the Waltons, Kochs and others in their economic stratosphere won’t miss a meal by doing so—and we won’t have to rely as much on their philanthropy.